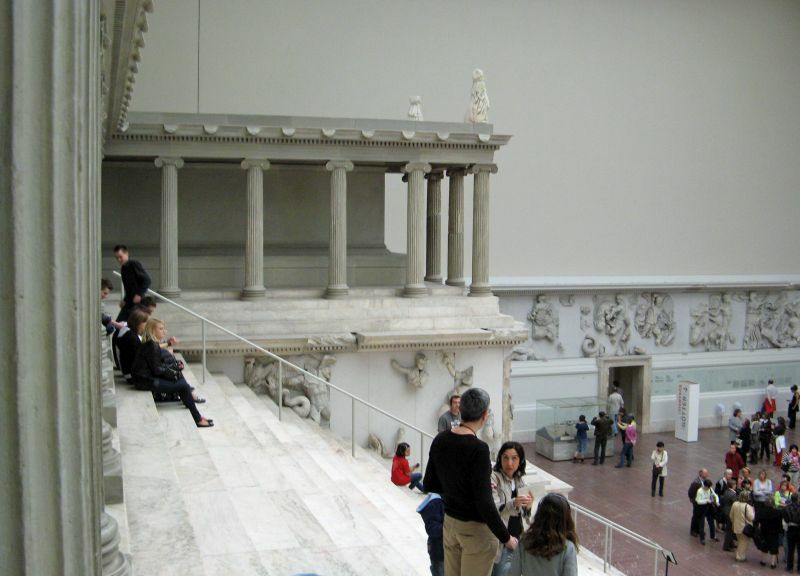 p; the front stairway alone is almost 20 metres wide. 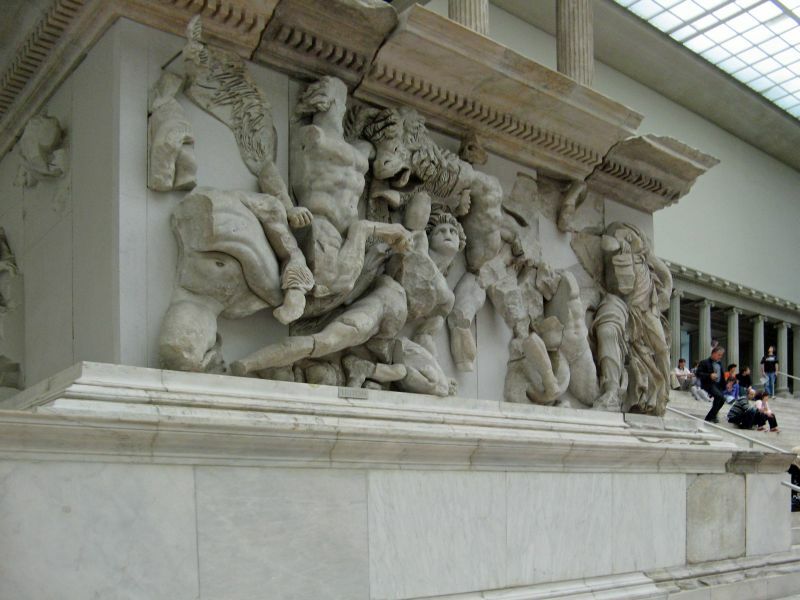 The base is decorated with a frieze in high relief showing the battle between the Giants and the Olympian gods known as the Gigantomachy. 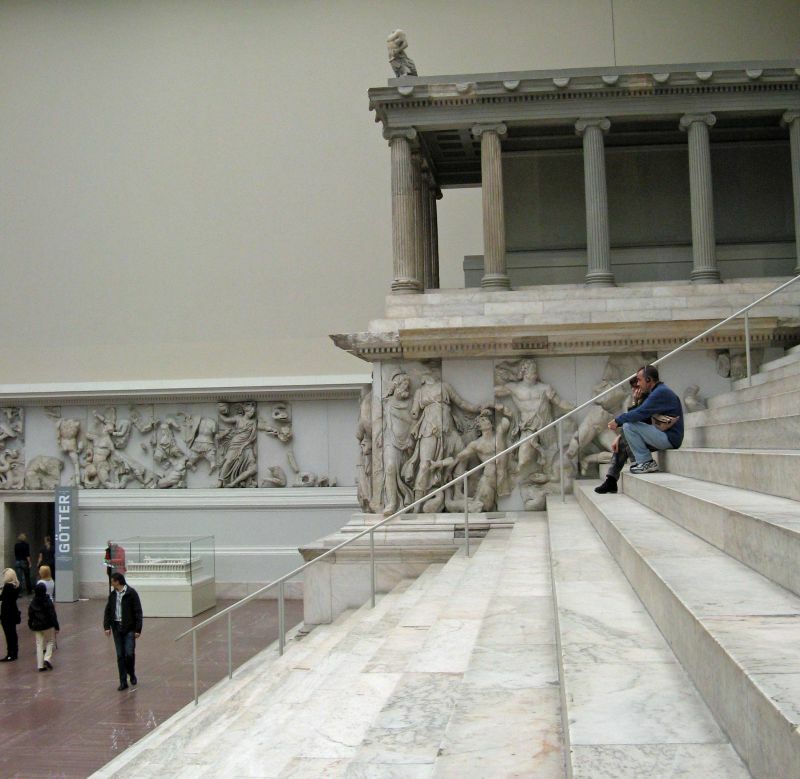 There is a second, smaller and less well-preserved high relief frieze on the inner court walls which surround the actual fire altar on the upper level of the structure at the top of the stairs. 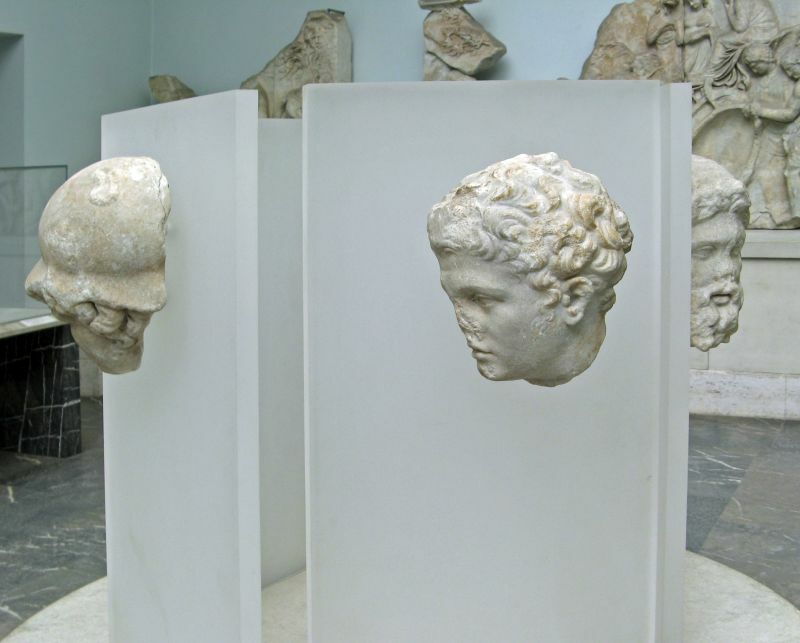 In a set of consecutive scenes, it depicts events from the life of Telephus, legendary founder of the city of Pergamon and son of the hero Heracles and Auge, one of Tegean king Aleus’s daughters. 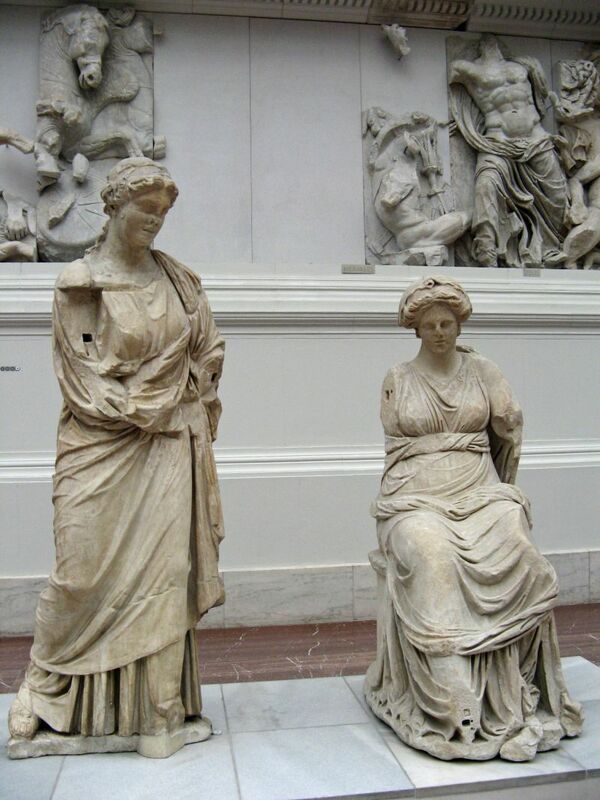 In 1878, the German engineer Carl Humann began official excavations on the acropolis of Pergamon, an effort that lasted until 1886. 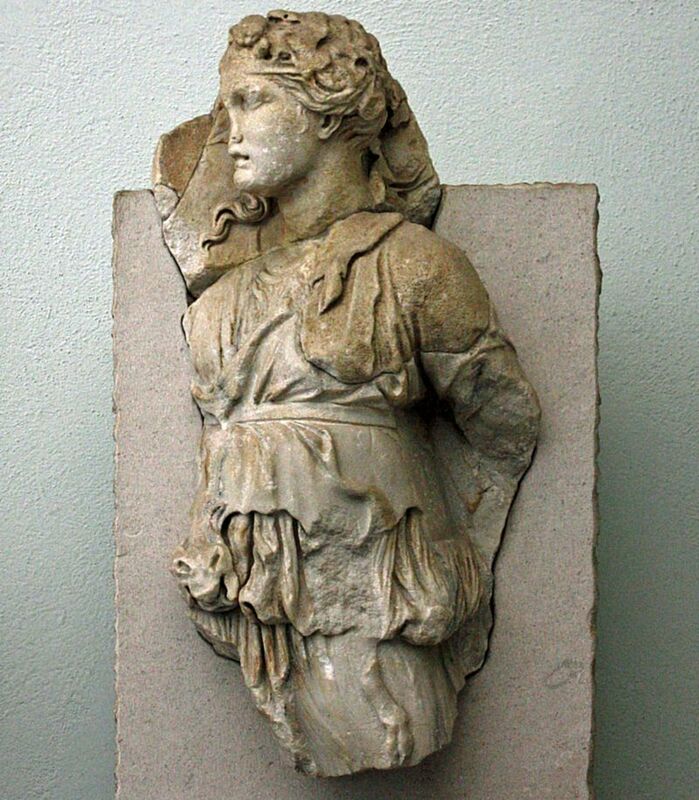 The excavation was undertaken in order to rescue the altar friezes and expose the foundation of the edifice. 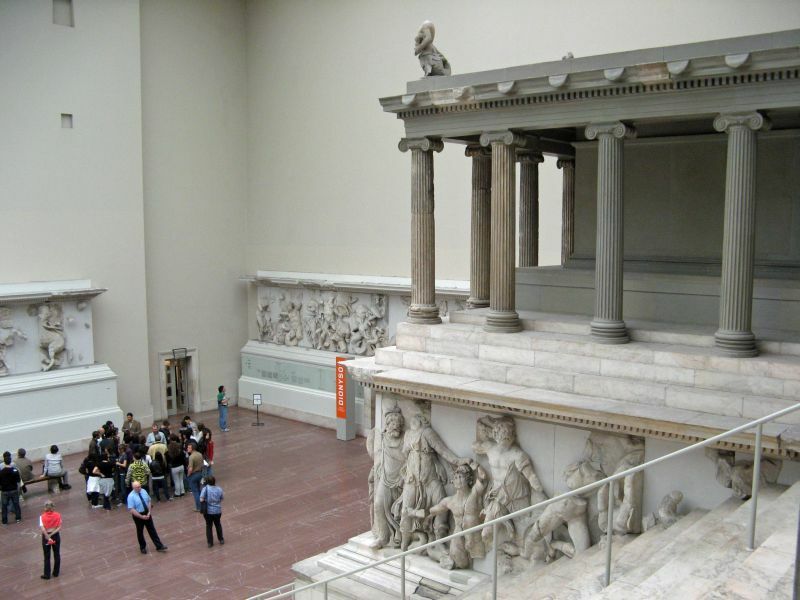 Later, other ancient structures on the acropolis were brought to light. 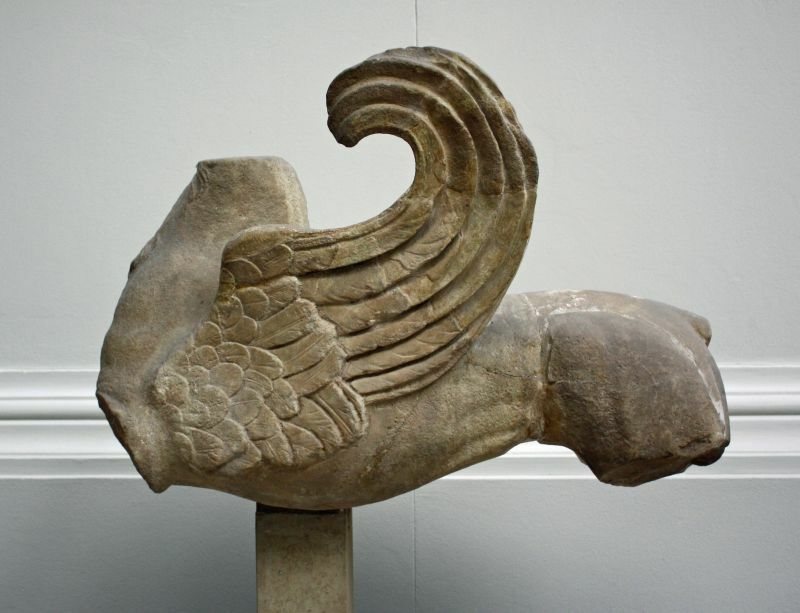 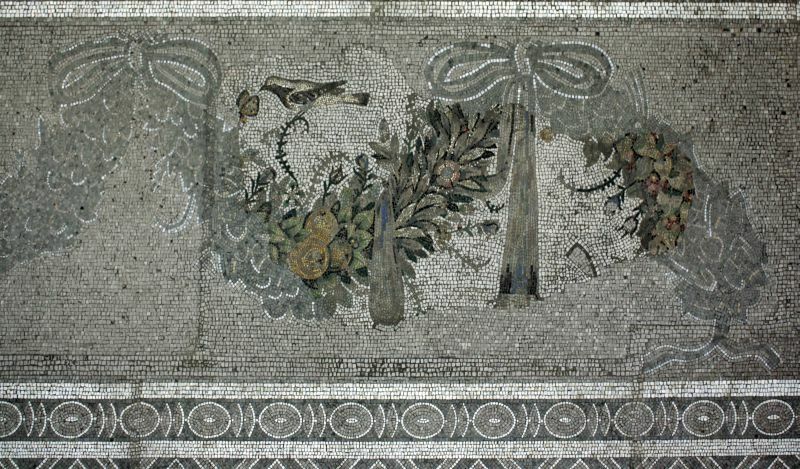 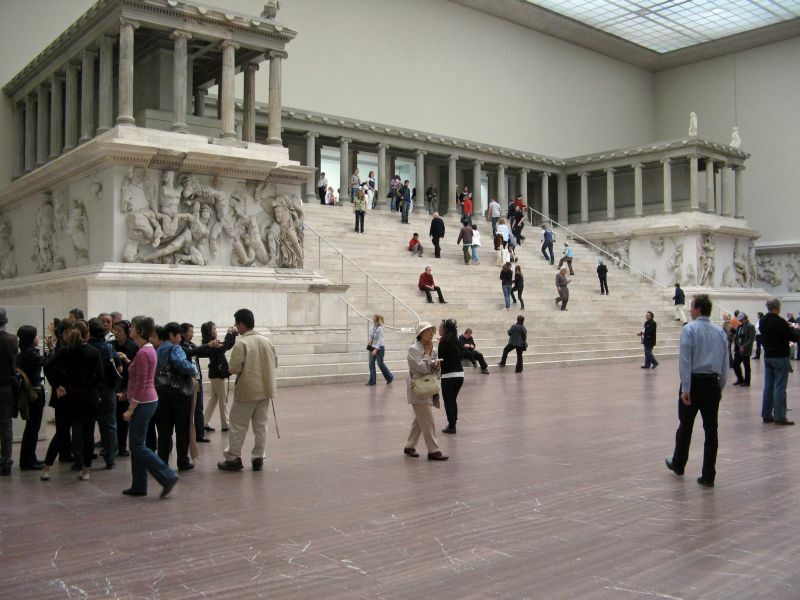 Upon negotiating with the Turkish government (a participant in the excavation), it was agreed that all frieze fragments found at the time would become the property of the Berlin museums. 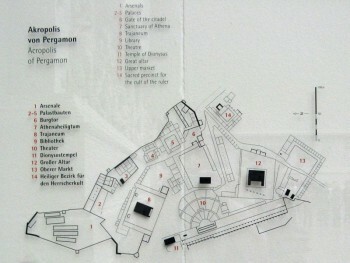 Karl Humann’s 1881 plan of the Pergamon acropolis. 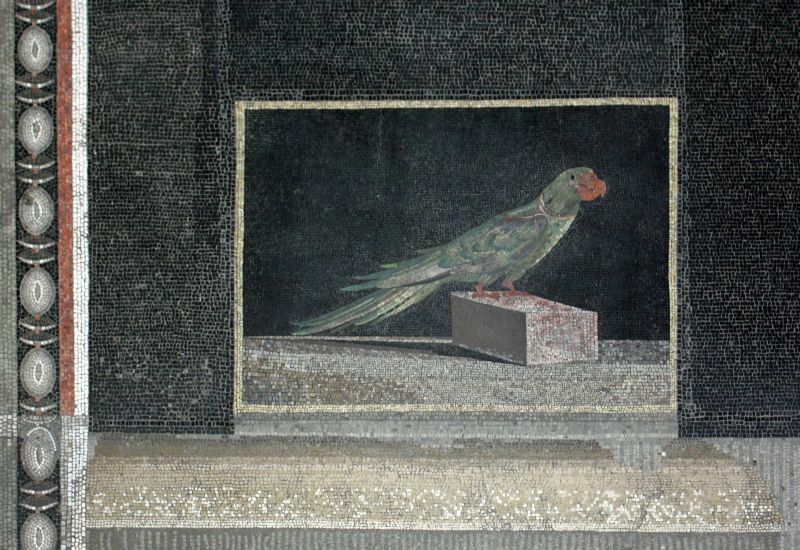 In Berlin, Italian restorers reassembled the panels comprising the frieze from the thousands of fragments that had been recovered. 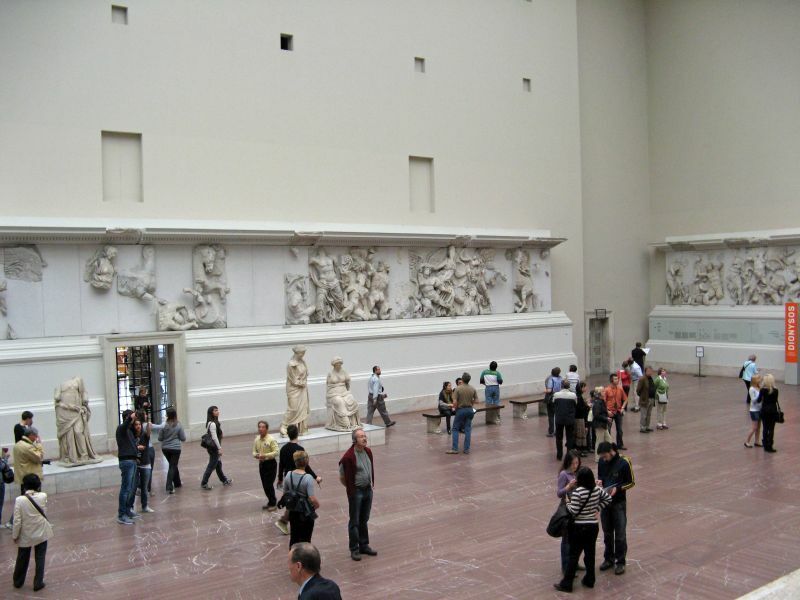 In order to display the result and create a context for it, a new museum was erected in 1901 on Berlin’s Museum Island. 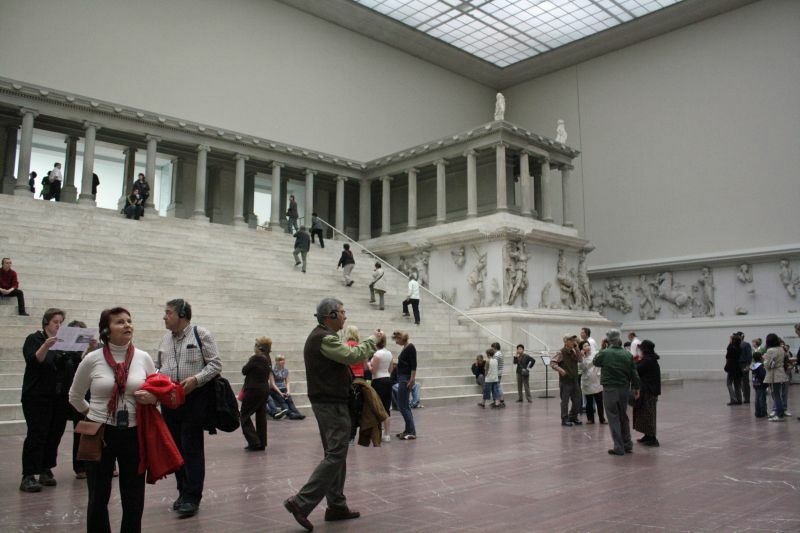 Because this first Pergamon Museum proved to be both inadequate and structurally unsound, it was demolished in 1909 and replaced with a much larger museum, which opened in 1930. 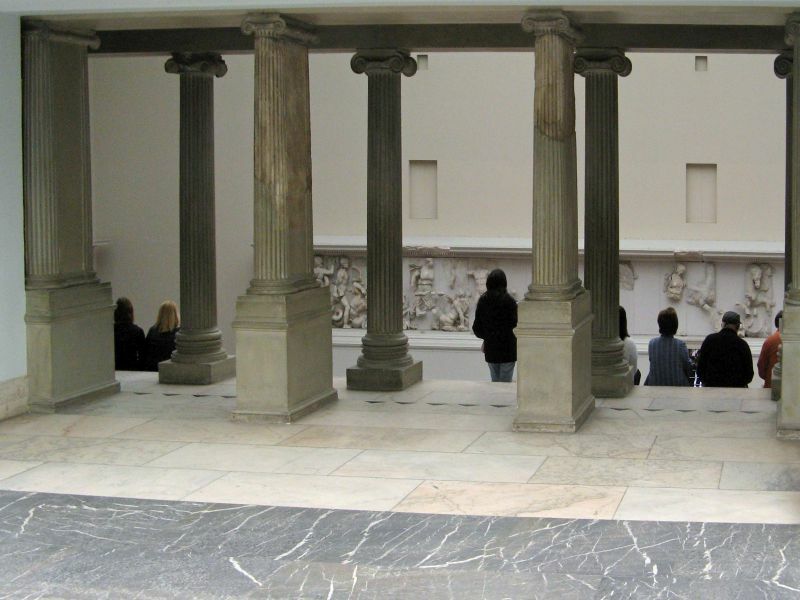 This new museum is still open to the public on the island. 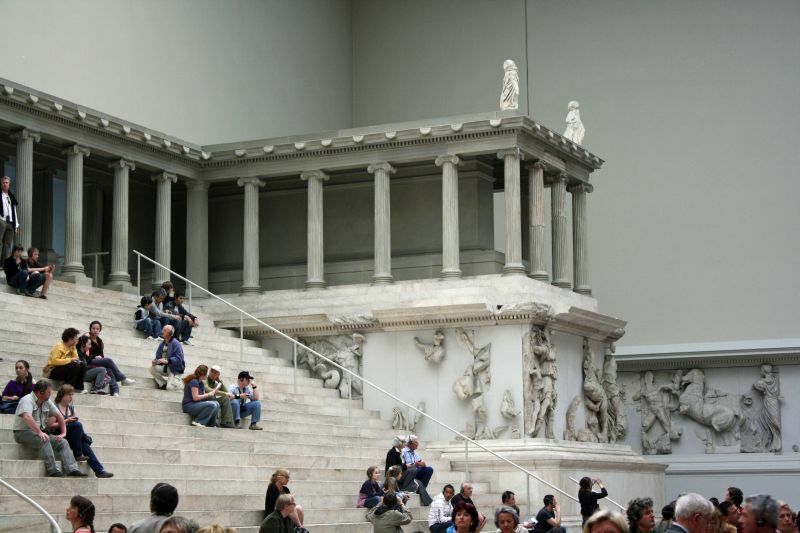 Despite the fact that the new museum was home to a variety of collections beyond the friezes (for example, a famous reconstruction of the Ishtar Gate of ancient Babylon), the city’s inhabitants decided to name it the Pergamon Museum for the friezes and reconstruction of the west front of the altar. 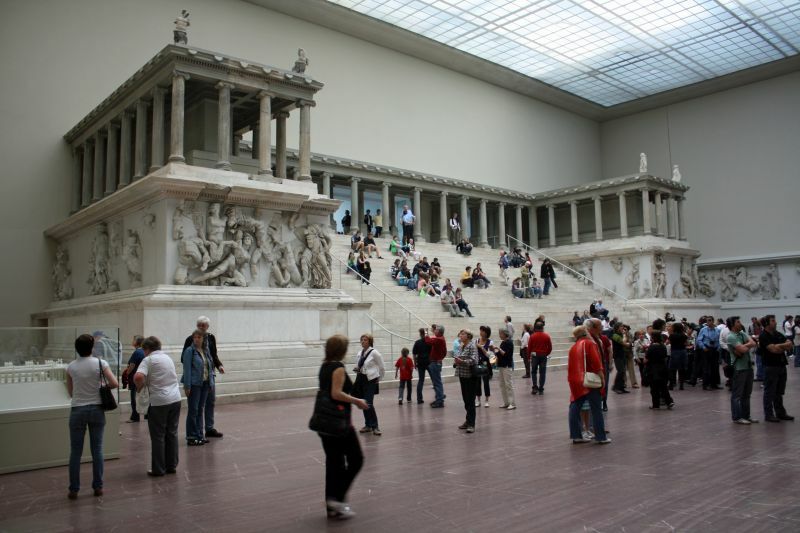 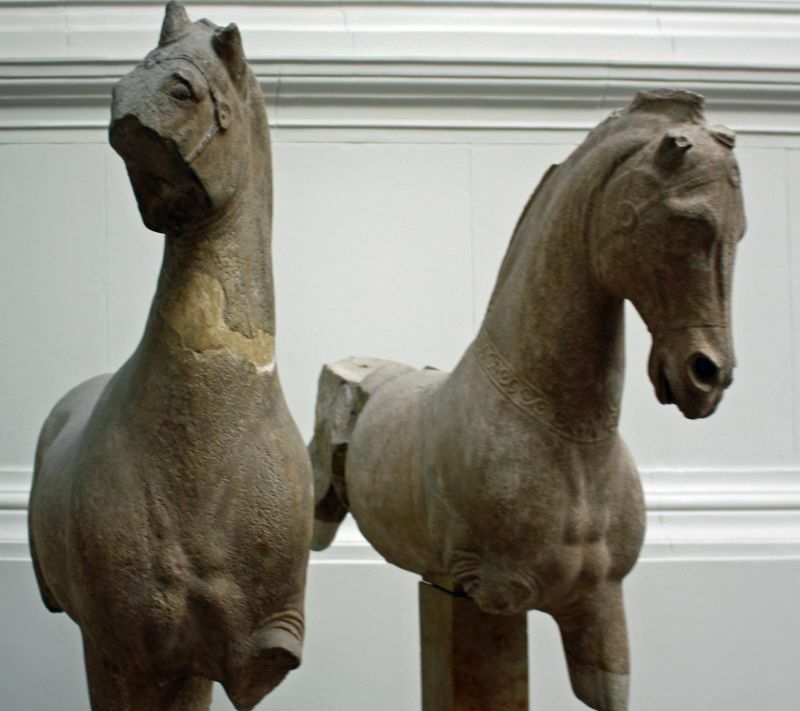 The Pergamon Altar is today the most famous item in the Berlin Collection of Classical Antiquities, which is on display in the Pergamon Museum and in the Altes Museum, both of which are on Berlin’s Museum Island. 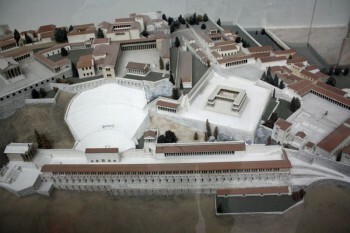 Photo of the location (right on top of the hill of the Zeus Altar, now a small road). 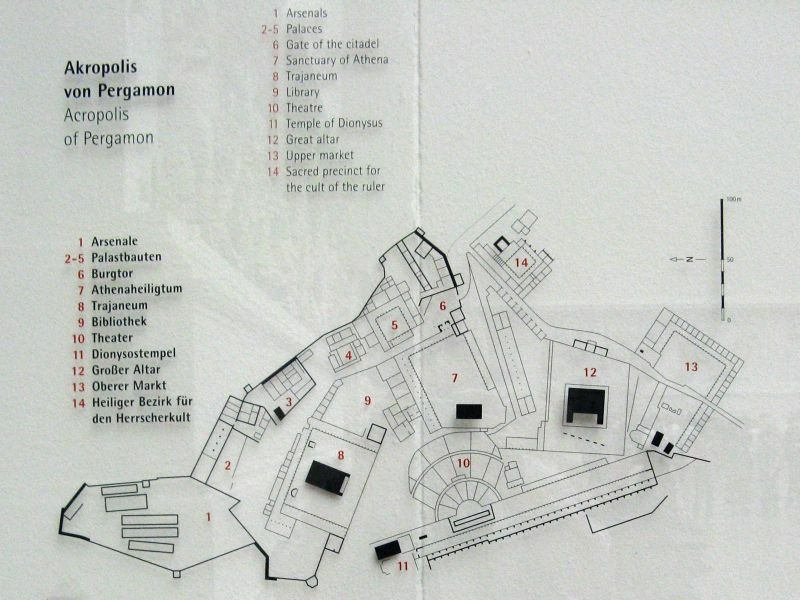 See more photos of Pergamon here.